Protected landscapes in Northern Ireland are looked after by the Department of Environment and the Northern Ireland Environment Agency. The Northern Ireland Department of the Environment is working on primary legislation to set up National Parks, whilst also considering the designation of the Mourne Mountains. Although current legislation - the Nature Conservation and Amenity Lands (NI) Order 1985 – allows for the designation of National Parks it is felt to be in need of updating. The new primary legislation would create a framework for National Parks in the 21st century. A Mourne Mountains Working Party has been working on drawing up specific boundary proposals for the proposed National Park. 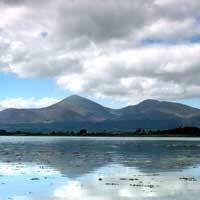 Northern Ireland has a range of beautiful landscapes and nine areas designated as AONBs. This designation is designed to protect and enhance the qualities of each area and to promote their enjoyment by the public. Some are designated under the Nature Conservation and Amenity Lands (NI) Order 1985 and some under the Amenity Lands (NI) Act 1965.